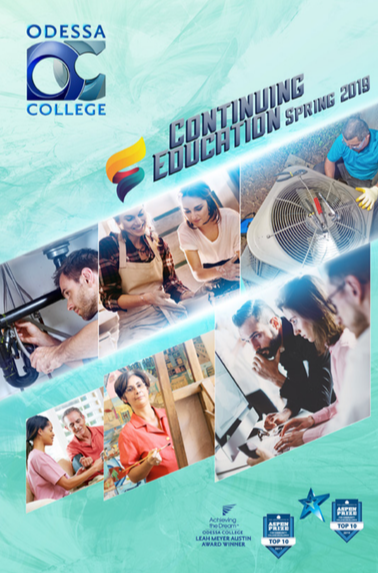 Click here to view, download and print the Spring 2019 CE Class Schedule PDF. Registration for Driver Education classes must be in-person at Gregory D. Williams Hall (corner of Robertson and University). Please bring the student’s Social Security card to register. In order to register for the Professional Office Skills program, you must take the TSI reading test prior to registration. The test may be taken at the OC Testing Center located in the Spur II Building on the first floor. Please bring your scores with you to Gregory D. Williams Hall (corner of Robertson and University) when you register for the program. Adobe Reader is required to view the above items.